You have questions about using drones in your operations. Like many building and construction organizations, you know the value of drone technology can provide. But you may not know how to incorporate drones into your operations to help your project get done on time and under budget. 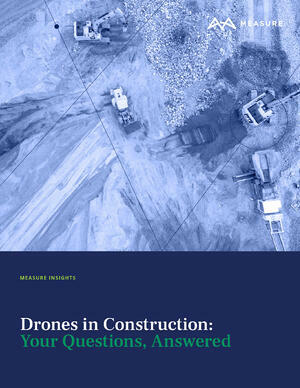 What tasks can I use a drone for on my jobsite? Do I need special permits to use a drone? When should I outsource drone tasks? How do I view and make use of the data the drone collected? Answers to these questions are included, along with data output examples, glossary of terms, and more.